After dis-banding in 2008, TOTO re-united in 2010 for the benefit of the band’s bass player Mike Porcaro, who was diagnosed and battling with ALS. TOTO went on to release a ‘best of’ album titled “IN THE BLINK OF AN EYE 1977-2011” followed by a world tour which was featured in the band’s 2014 release as a live album/DVD titled “35th Anniversary Tour: Live in Poland”. This year, TOTO released “XIV”, their first studio album in 9 years. Unfortunately, just as the album came out, Mike Porcaro passed away as if he was waiting for the new album to be released. But we know that the band was able to deliver “XIV” to Mike Porcaro, who now rests in heaven with his brother Jeff Porcaro. TOTO’s “XIV” definitely proves that the band still has the power and energy to create top quality music and to live up to the expectations of their fans. Steve Lukather took time to talk to MUSE ON MUSE about the brand new “XIV” album. 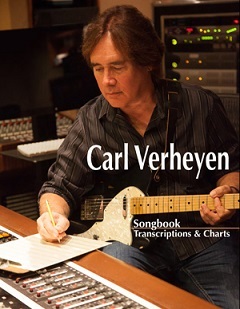 Carl Verheyen is undoubtedly one of LA’s first-call session guitarists. 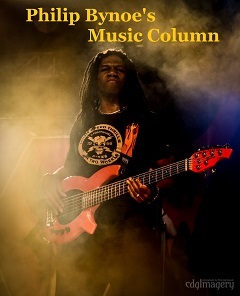 While building up his carrier as a sideman for big-name artists such as Bee Gees, Little Richard and John Fogerty, he has also kept himself busy playing on movie soundtracks including Star Trek and Mission Impossible IV. 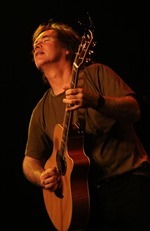 Over the years, Carl has continued to allure avid music fans with a number of solo albums as well as with his band, Carl Verheyen Band, in the U.S. and Europe. Carl’s recent release, “Alone” marks his second solo acoustic album following the release of “Guitar Improvisations” that came out in 2001. With much intricacy and intimacy, Carl continues to explore his pursuit on an acoustic guitar by covering the pieces that have inspired him all these years. The unique-yet-beautifully-arranged “Last Train Home” (Pat Metheny) or “Mercy Street” (Peter Gabriel) will surely satisfy all of those who have waited long enough for the album to come out. Muse On Muse asked Carl on the album ”Alone” in depth, not to mention the secrets behind his one-of-a-kind acoustic guitar playing. 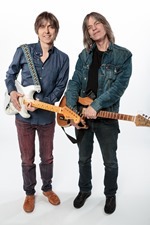 Eric Johnson and Mike Stern are definitely two top-notch musicians with musical talent and originality. They are also iconic guitarists that many look up to. The album “Eclectic” was created by these two icons, and have fascinated countless music fans around the globe. The album features not only quality performances by two top-notch guitar players in the industry, but the music also displays the artists’ comprehensive strengths in every aspect of music, which can only be done by artists with experience. MUSE ON MUSE asked Eric and Mike about their new “Eclectic” album. 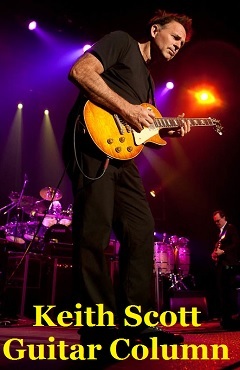 Steve Lukather and Larry Carlton will be performing in Japan, 15 years after their last performance together in Japan. Their last collaboration 15 years ago was recorded and released as a live album titled “No Substitutions – Live In Osaka” which won a Grammy Award for Best Pop Instrumental Album in 2002. The Japanese audience will definitely be able to expect quality music by some top-notch musicians at this upcoming concert. Steve Lukather took some time to answer a short interview with MUSE ON MUSE about the upcoming shows in Japan, as well as about the new TOTO album. Jim Vallance, the man who has co-written numerous worldwide hits with Bryan Adams, Aerosmith, Ozzy Osbourne to name a few, has revealed his personal accounts on working with his longest and most notable collaborator, Bryan Adams. Upon the 30th anniversary since the release of “Reckless” album, the pair has continued to entice savvy rock fans with their powerful musical works over the decades. MUSE ON MUSE asked Jim on his musical background, thoughts on songwriting and working with Bryan. Flying Colors has just released their second album “Second Nature”. The band consists of members such as Steve Morse, Mike Portnoy, and Neal Morse, who all have separate commitments with other projects and bands, which would make you think of Flying Colors as a mere project. Nevertheless, Flying Colors has released their self-titled debut album, followed by a live album titled “Live In Europe” and now their second album “Second Nature”, successfully delivering all of their works with extremely high quality of songwriting and performance, proving Flying Colors to be not just another project. 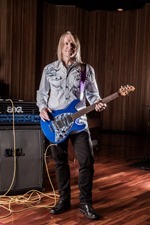 Steve Morse talks to MUSE ON MUSE about Flying Color’s “Second Nature”. Freak Kitchen is back with their latest studio album “Cooking With Pagans”, 5 years from their previous “Land of the Freaks”. 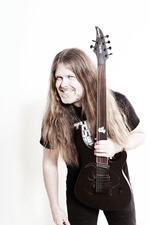 The new album features all the trademarks of Freak Kitchen including hard and heavy grooves with catchy vocal lines, mixed with Mattias IA Eklundh’s unique guitar performances filled with great technique and sense. The album definitely lives up to the expectations of the Freak Kitchen fans. 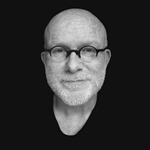 The new album’s artwork and music video has been created by Juanjo Guarnido, known for his animation works with Disney. Juanjo Guarnido successfully captures a dynamic image of Freak Kitchen expressed in the form of animation in their video. MUSE ON MUSE asked Mattias IA Eklundh of Freak Kitchen about the new album, as well as other topics including their collaboration with Juanjo Guarnido. 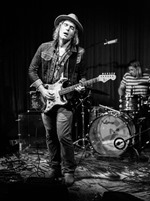 It has been 2 years since Philip Sayce released his last album “Steamroller”. Philip is now back with his new album “Influence”, which features tunes from artists that Philip Sayce was influenced by such as Little Feat, Graham Nash, Little Richard, etc. The album also includes 6 new originals co-written by Philip and producer David Cobb, creating a great blend of quality music. Philip continues to fascinate the listeners with his emotional guitar performances, filled with a great feeling of dynamics and expression. Philip took time to talk to MUSE ON MUSE about his new studio effort “Influence”. The new 80s hard rock project X-DRIVE features rookie guitar player Jeremy Brenner, along with big names in the scene such as vocalist Keith St. John from BURNING RAIN, bass player James Lomenzo formerly from MEGADETH and WHITE LION, and drummer Fred Fischer. 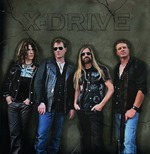 X-DRIVE’s debut album “Get Your Rocks On” features catchy 80s hard rock music written by Jeremy Brunner, which creates a magnificent blend with Keith St. John’s emotional vocal performances, reminding the listeners of the glorious arena rock days. 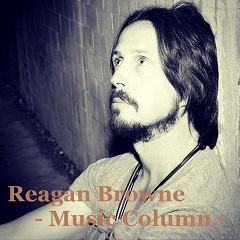 Jeremy Brunner, the central figure of X-DRIVE, talks to MUSE ON MUSE about the “Get Your Rocks On” album, as well as about his musical background. 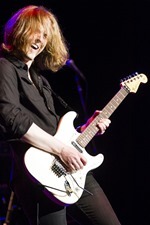 Sam Coulson succeeded in filling in the shoes of progressive rock guitar maestro Steve Howe, as the new guitar player for ASIA. 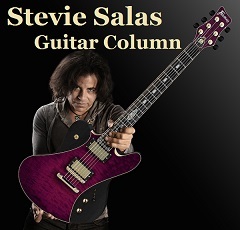 On their latest album “Gravitas” Sam delivers skillful guitar performances, bringing the songs to another level. Sam took some time to talk to MUSE ON MUSE about his musical background, as well as about his guitar playing on the new ASIA album.